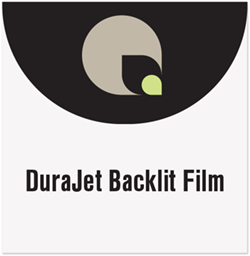 DuraJet Backlit Film is an 7 mil, matte, polyester backlit film specifically designed for UV curable and latex ink compatibility. The base polyester material is dimensionally stable and tear resistant. Excellent for indoor or outdoor light box signage, soda machines, bus stops and theater displays.